” Though there was a lot of pessimism when we plunged into the loss in 2017 due to burgeoning NPAs catalyzed by overall degradation of banking environment coupled with legacy of NPAs in our balance sheet, J&K Bank arose like a Phoenix due to the indomitable spirit of the human resources of the Bank. We reoriented our strategy and prepared a Board approved medium term business plan which is being executed and the results over the last few quarters are as per the projected trajectory in the business plan. I can assure that we are well on course to achieve our targeted profit of Rs 2000 Cr in FY 2022” asserted Parvez Ahmed with his characteristic ebullience and optimism amidst thumping applause from the staff & management of the Bank. “We were provided generous guidance, mentorship and handholding by all the stakeholders including our promoters the government of J&K but the sheet anchor of the implementation of our strategy has been the Bank’s human resources which I have time and again affirmed as the real strength of this organization. 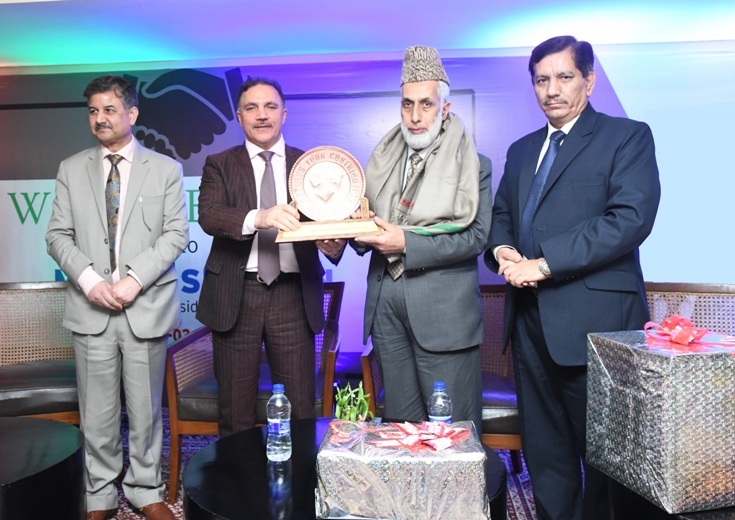 It is this human resource that takes the organizations to great heights, both internally and externally, in fact everywhere,” said the Chairman J&K Bank. Earlier, Executive President A R Sheigan got emotional expressing his gratitude towards what he called the ‘great modern institution from J&K’.